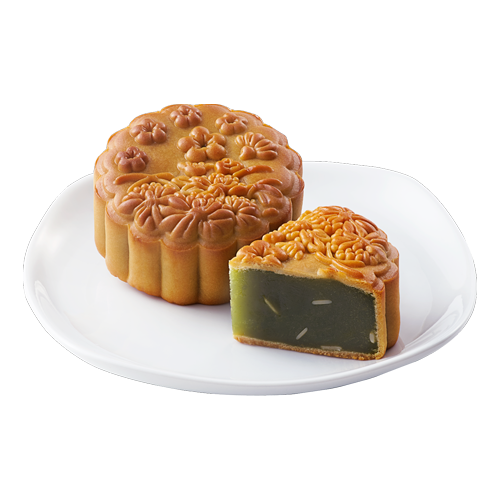 This beautiful jade green lotus paste is made from 100% premium quality Hunan lotus seeds and cooked with refined vegetable oil. Its natural pandan fragrance and taste is from 100% natural pandan extract. It is moderately sweet and has a smooth texture. The melon seeds give this delicious, aromatic mooncake an interesting crunch.